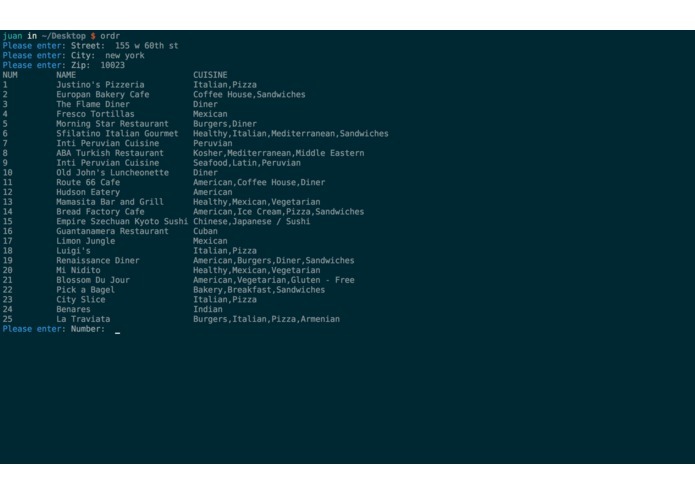 Search for nearby restaurant info on the command line. I spend a lot of time on the command line and hate switching to anything else if I am in the middle of something. 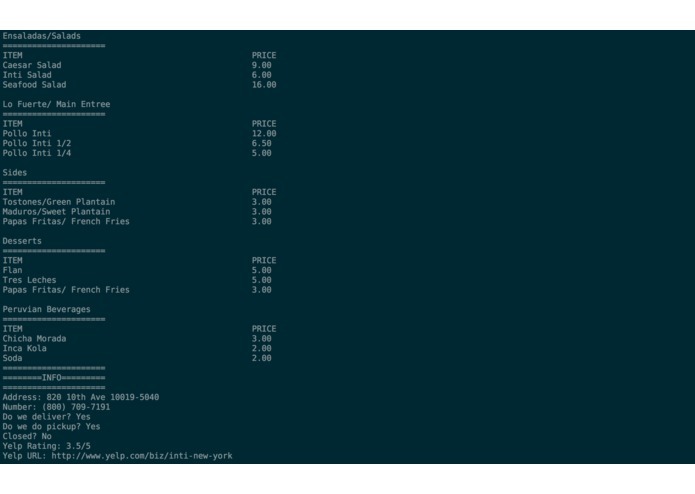 One of the reasons I switch away from the command line is to find place to eat. With this tool I don't have to do that anymore!! !